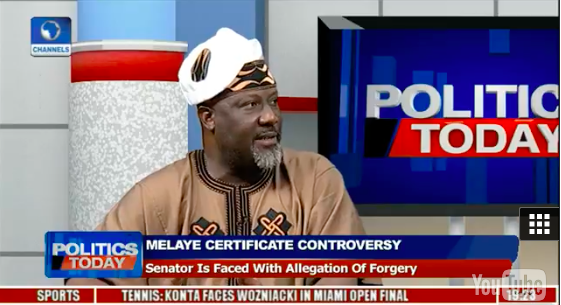 Nigeria’s controversial Senator, Dino Melaye, during a live TV interview vehemently refused to answer whether he graduated from Harvard University or not. Senator Melaye had previously claimed that he was an alumni of Harvard University in Cambridge, Massachusetts and London School of Economics (LSE) in London. When asked by the host Seun Akinbaloye, on Channels Television's program “Politics Today” if he indeed graduated form Harvard, Dino started blabbing about another guest featured on the program. Several attempts by Akinbaloye to get Dino to answer proved futile.